Monthly Banner Contest | The Fighting 1:18th! It’s that time of the Month again! Wait.. what? Oh.. right.. The theme for the March Banner Contest is Action! 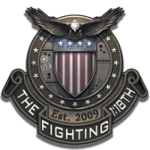 The Monthly Banner Contest has been one of the most successful and favorite features here on the Fighting 1:18th. The contest has been going on for over a year now and started on our original site before the infamous crash of 2011. For those that are new to the contest, it’s very simple. A forum member can submit a dio picture entry into the contest. Towards the end of the month we place all the photos together and let the forum members vote for their favorite via poll. The winner gets the prestige and honor of having their picture on top of the site representing the Fighting 1:18th. Occasionally we add additional prizes, last month we included a 30th Anniversary Zombie Viper! The February Banner contest was our most competitive contest to date. We had so many great entries that we had to have a preliminary vote just to cut it down to our standard 10 entries. Once we got the contest down to 10, we had a record number of votes. The voting was so close that it came down to the final hours! When it was all said and done, our forum member Meddatron came out the winner by 1 vote. He walked away with the Zombie Viper and the honor of his first Banner Contest winner. Fresh off the success of last month’s contest we have instituted some concrete Rules and Regulations to ensure that everybody continues to have fun with our contest. 1. The submission must be done by the USER and no one but USER. 2. The submission must be in the correct size/aspect ratio of around: 920px by 322px. You can use any free editing program to crop your image to this size/ratio. Any image submitted outside of this size/ratio will be discarded. 3. The USER submitting the image releases all rights to the submitted image, giving The Fighting 1:18th full usage rights for the winning image only. 4. There will be ONE banner entry, per-person, per-month. If you submit more than ONE entry, all entries will be disqualified. You CAN delete an entry and replace it with another before the end of the month. 5. If there are more than 10 USER’s submitted banners for any given month, there will be a primary “run off” to find our 10 finalists. Details for the run off will be in that thread. 6. You may re-submit a NON-winner banner up to (3) additional times. 7. To submit an entry into the banner contest you must create a NEW thread in the Banner forum with the title “USER’s banner entry for the month of xxxx”. Where USER is your forum name, and xxxx is the upcoming month. Any entries not submitted in this fashion will be discarded. We are fast approaching a new month and look forward to your entries! Thanks for contributing and making our site even more interactive! It eas a great picture and great custom job on the C130!! You deserve it too, Meddatron! Well done. This contest is fun and simple people, give it a shot. it was nice to win the Zombie, but i’ll tell you after multiple attempts at winning, the fact that i get to be on top of the page for a month is worth more to me.